We believe that all the Arts: Visual Art, Music (Vocal, Band, Orchestra, Piano), Theater, and Dance enrich our daughters lives throughout the high school years...and beyond. Purpose: The Visual and Performing Arts Boosters is the parent group who support and assist the Visual and Performing Arts Department with fund raisers and events throughout the year. Members include: Parents, Grandparents, Aunts and Uncles and anyone wanting to help and participate in assisting with our goals and functions (All are Welcome). We are interested in new members and new ideas. Events and Fund Raisers Include: Italian Christmas Dinner, Concession for Concerts and Musical Programs, Food preparations for various camps sponsored by VPA, TCHS Bracelet, Panera Bread and Yankee Candle fundraiser. 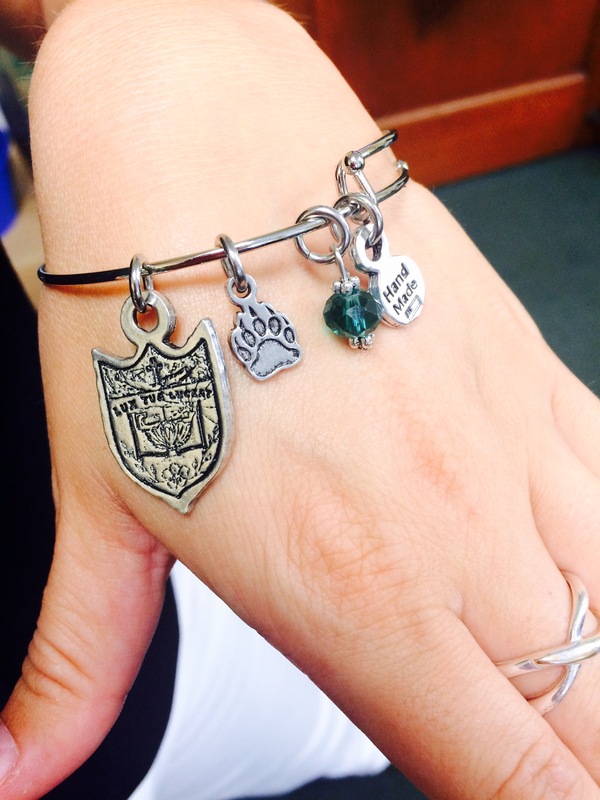 Purchase your TCHS Bracelet today! This helps to purchase instruments for the Visual and Performing Arts Program!